PHILIPP MAINZER OFFICE FOR ARCHITECTURE AND DESIGN completes the interior design of Salvatore Piccione’s new hair salon in Frankfurt, Germany. High quality materials and functional glamour are the main focus of the design concept which takes the customer on a discovery journey. 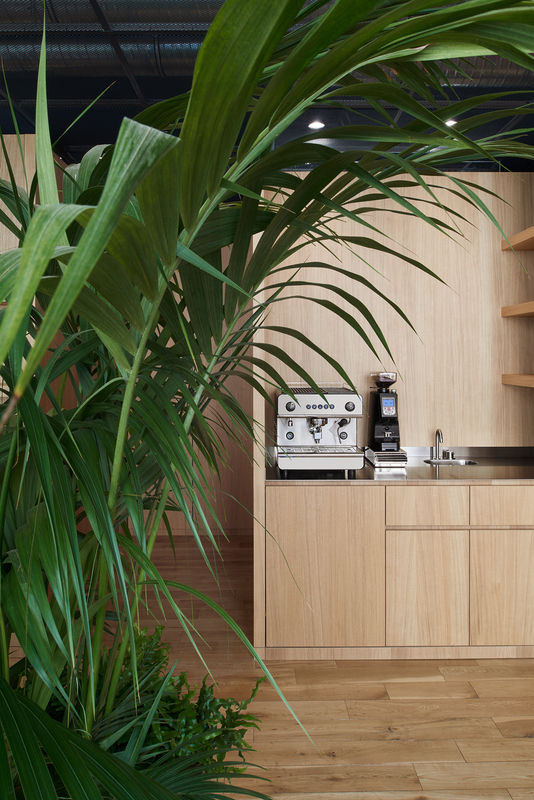 Built-in wall panels made from oak veneer give structure to the 225 sqm layout and create individual work areas. 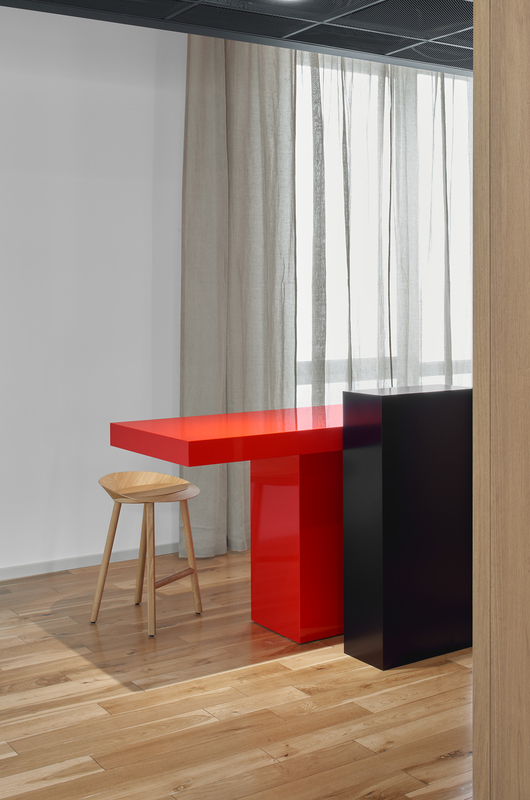 Sculptural elements such as the black cubic reception counter, oversized planters or the shiny red work desk set individual accents. 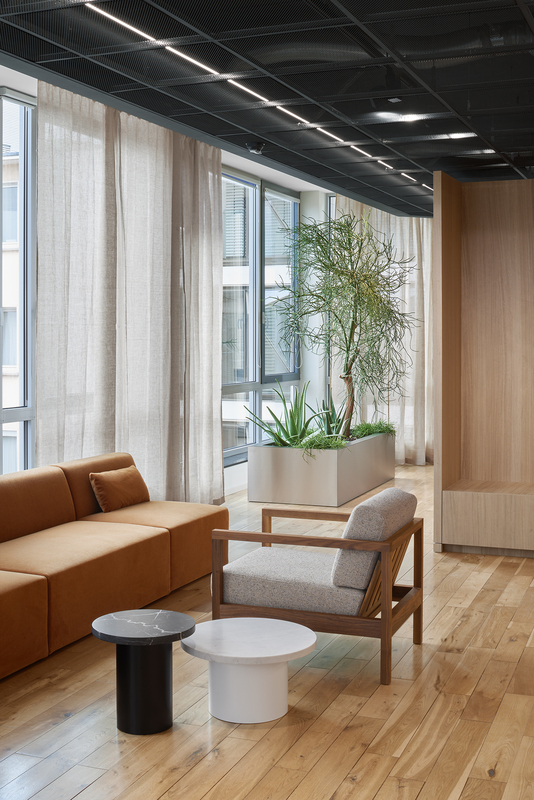 The entrance area with sofas and side tables radiates a homely atmosphere and integrates the display shelving for grooming and lifestyle products. Reminiscent of an abstract art installation, a mirror landscape characterises the cutting area which provides seating for up to 12 customers. 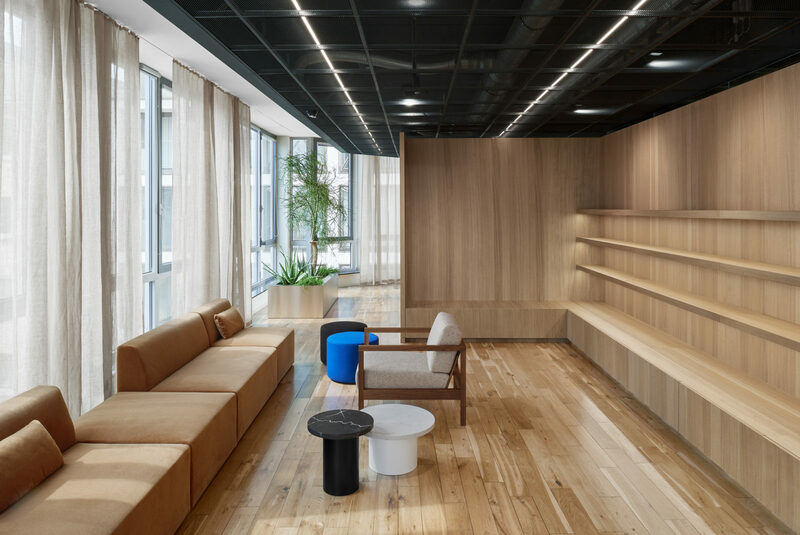 Arranged in shifted positions, the floor level mirrors reflect the views of the all-round glazed building and function as storage for utensils. A special focus in this area was put on technically advanced, colourfast lighting. 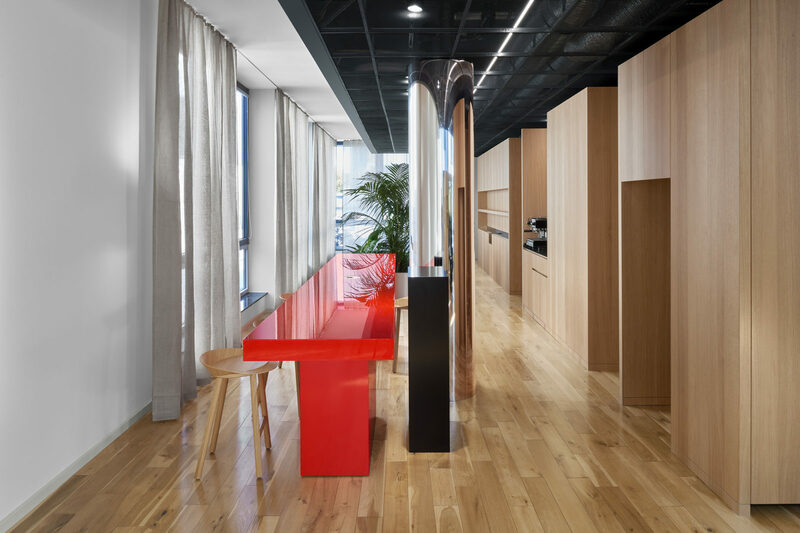 Warm materials such as the floor made from oak or the wood cladding which cleverly covers the kitchen and toilets in the centre of the building, are contrasted by progressive elements such as the stainless steel plateau for the washing area and the red table in the waiting zone. The latter is not only a colourful highlight, it also integrates cables and technical components which transform the table into a charging station for electrical devices. 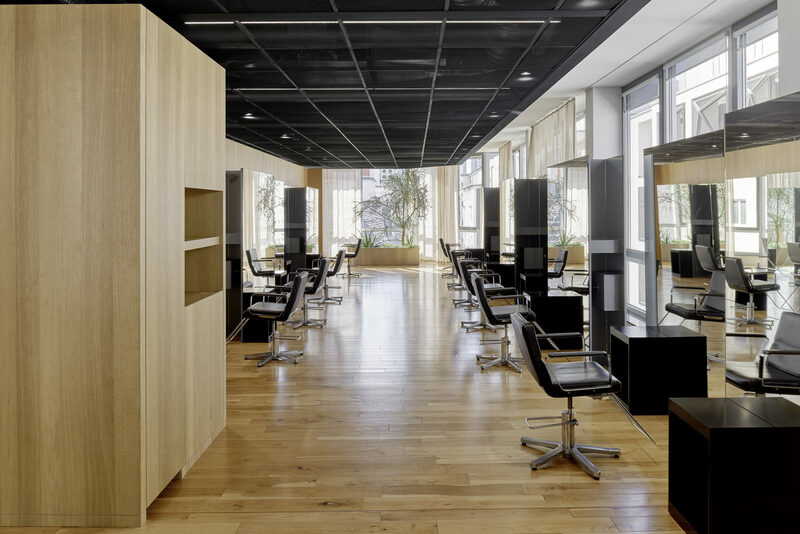 For the new salon in the city centre of Frankfurt, furniture from e15 – also located in Frankfurt – was specified. With their reduced design, the pieces correspond with Salvatore Piccione’s artistic philosophy and harmonise with the overall appearance of the salon.